In San Pedro, California. 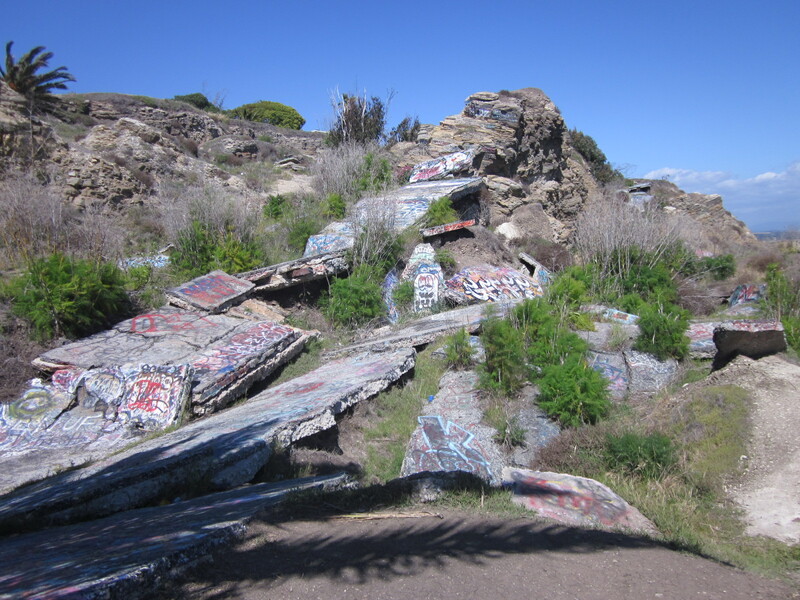 There is this place called sunken city. 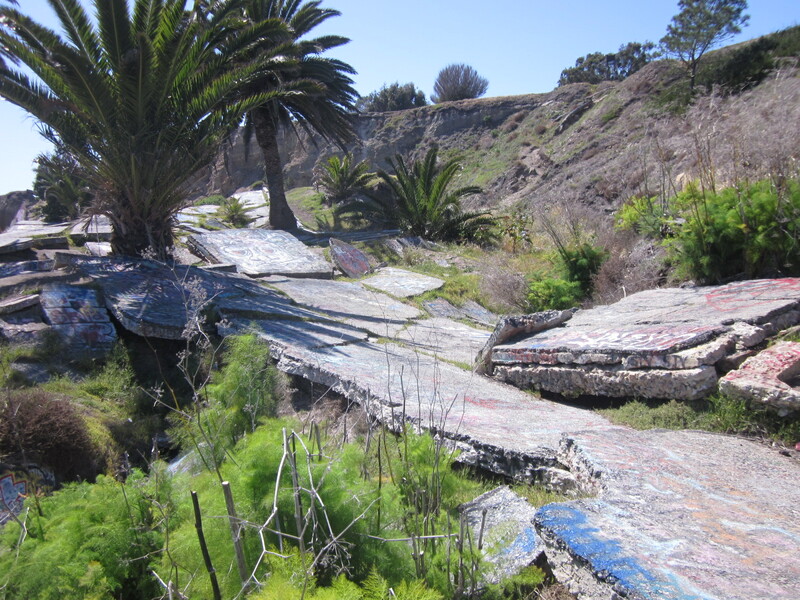 Several decades ago, there was a landslide causing all the houses on the cliff to fall into the ocean. 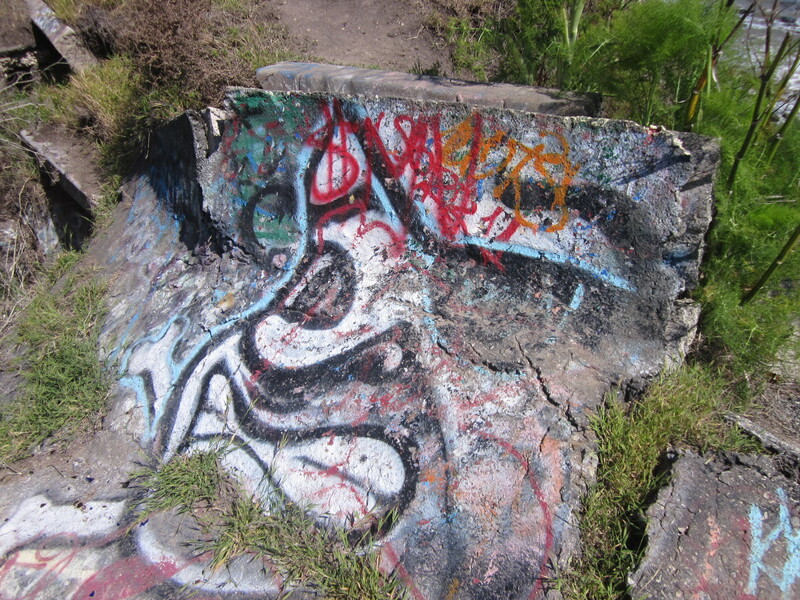 Now what’s left are ruins of roads, broken pipes, and beautiful graffiti art. 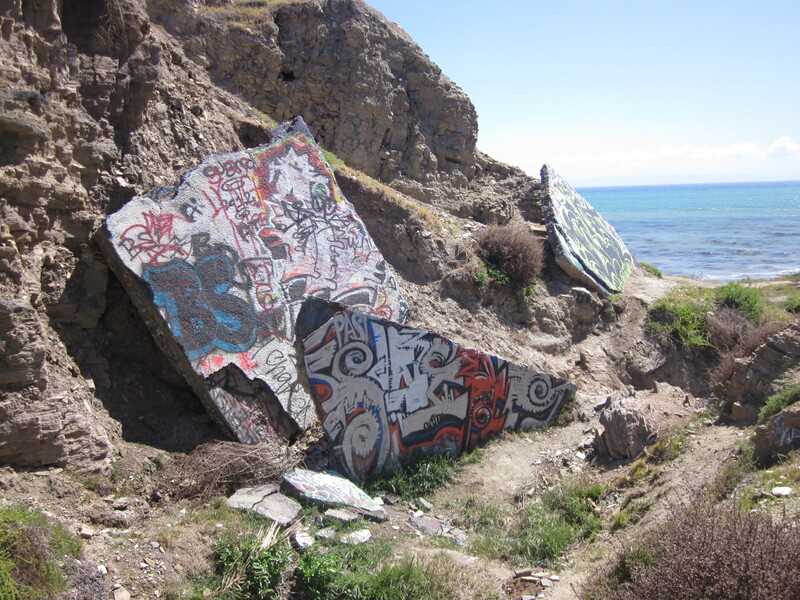 Artists from the area have been entering this unknown place for years. 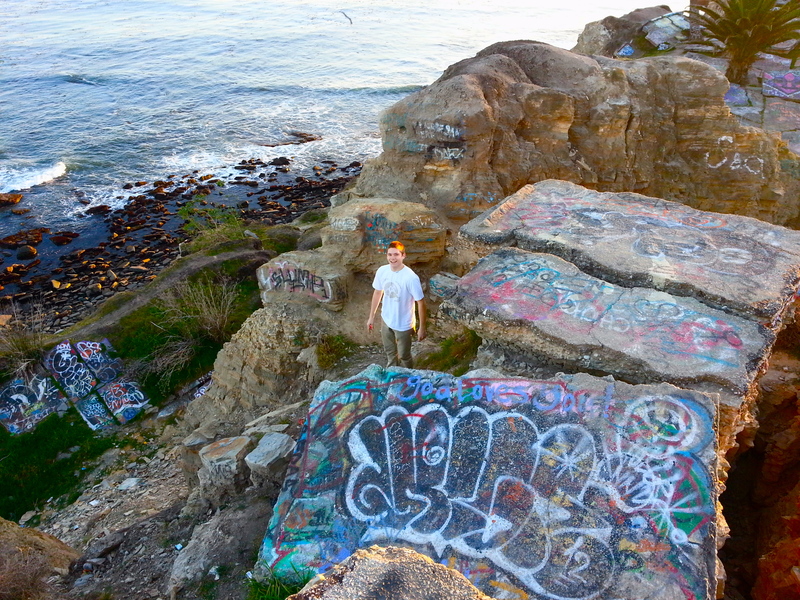 Every inch of the ruins is covered in graffiti. 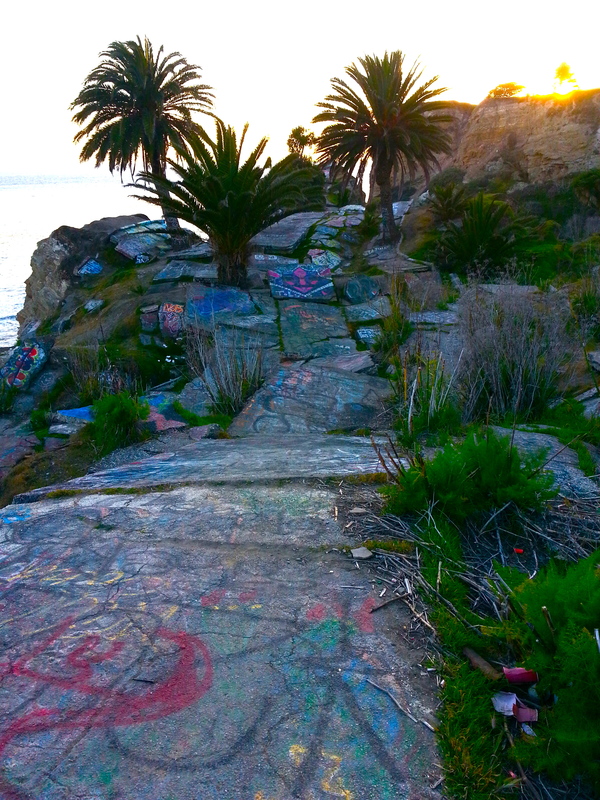 If you love street art, this is the place for you. This place will give you the closest look at what a post apocalyptic world may look like. 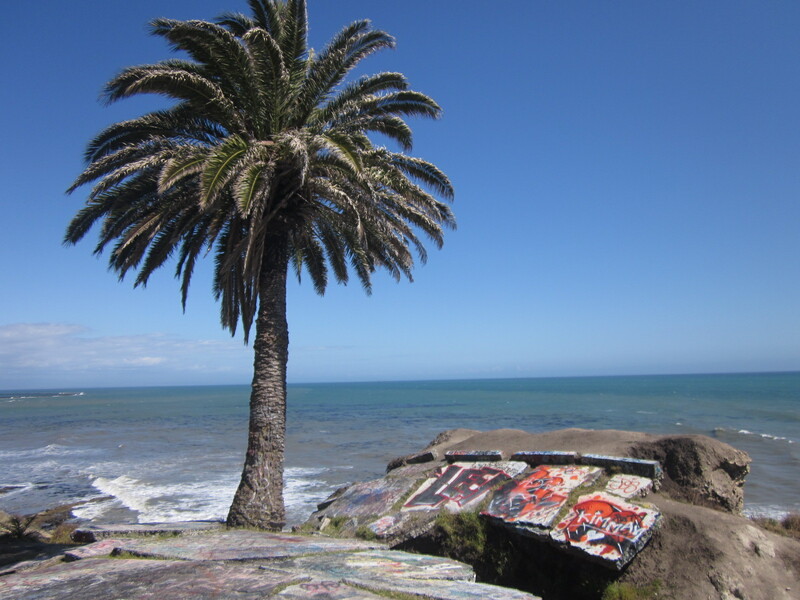 Nearby places to visit: Point Fermin Lighthouse, Cabrillo Beach and Korean Friendship Bell. Make it a trip and visit all of them. 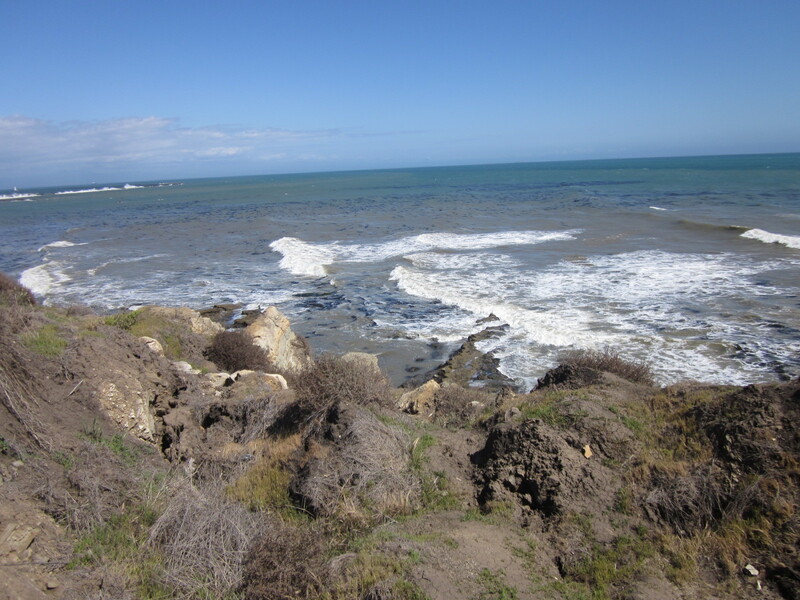 Summary: Due to a landslide, this area has sunk into the ocean. Although it is gated off, it’s up to your adventurous spirits to go explore it. 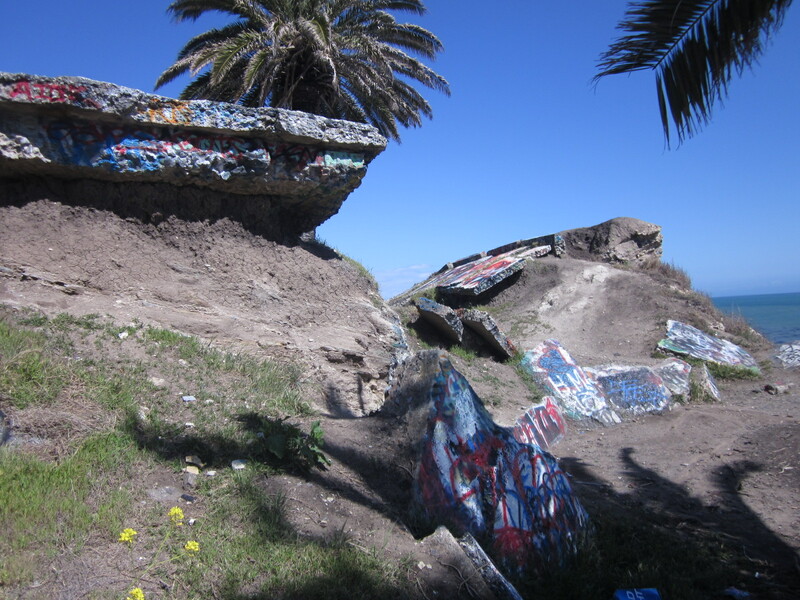 Below is more information on how to enjoy the Sunken City. – This place is slippery and steep. Be prepared for some climbing. If you’re wearing the right shoes, then there shouldn’t be any problems. 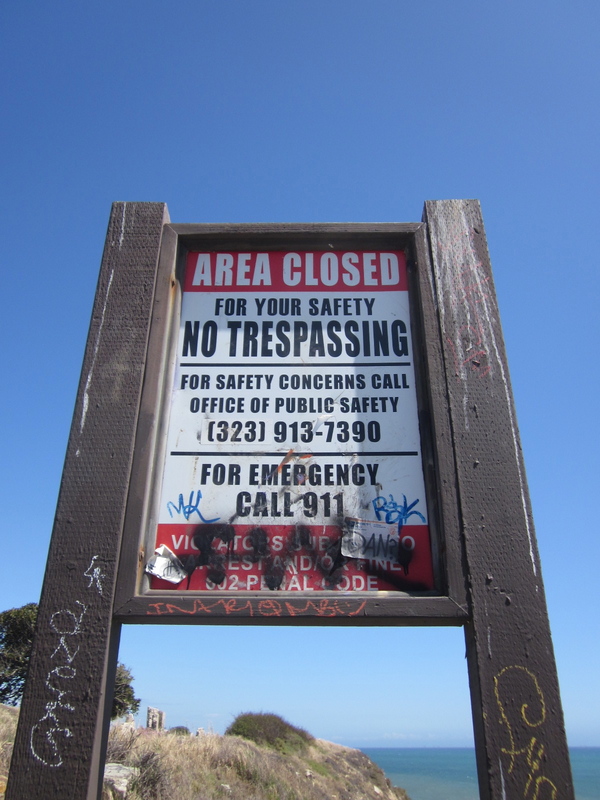 – It is illegal and considered trespassing for entering the sunken city. Please note that you are at your own risk. – Treat this like a typical hike. Wear either hiking shoes or running shoes. Whatever you wear just make sure that it holds on to surface well. – When you get there, you will notice that it’s a park. Go ahead and park where ever you want. – Then to the left side of the parking lot pass the cafe, you will see a huge gate that is locked up. There’s also fence all around it blocking you from entering. 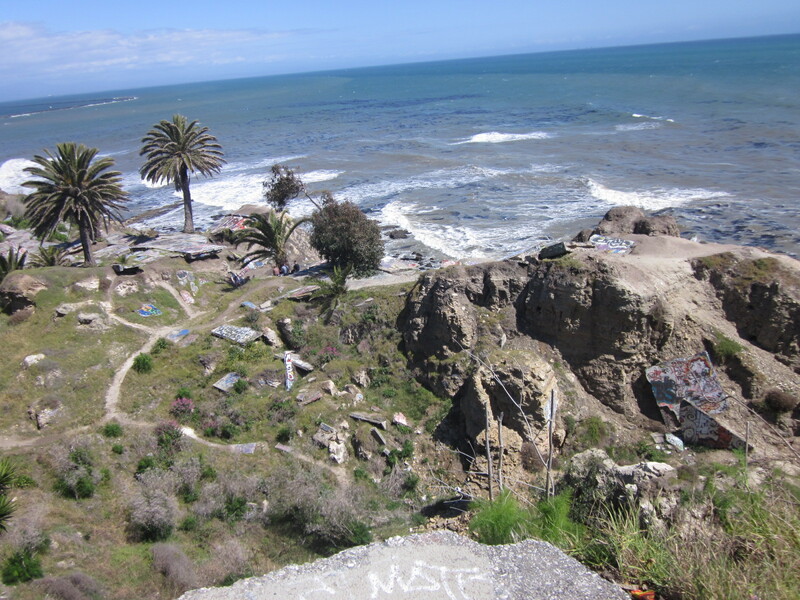 You can look through the fence and see a huge empty space, the Sunken City is below that. 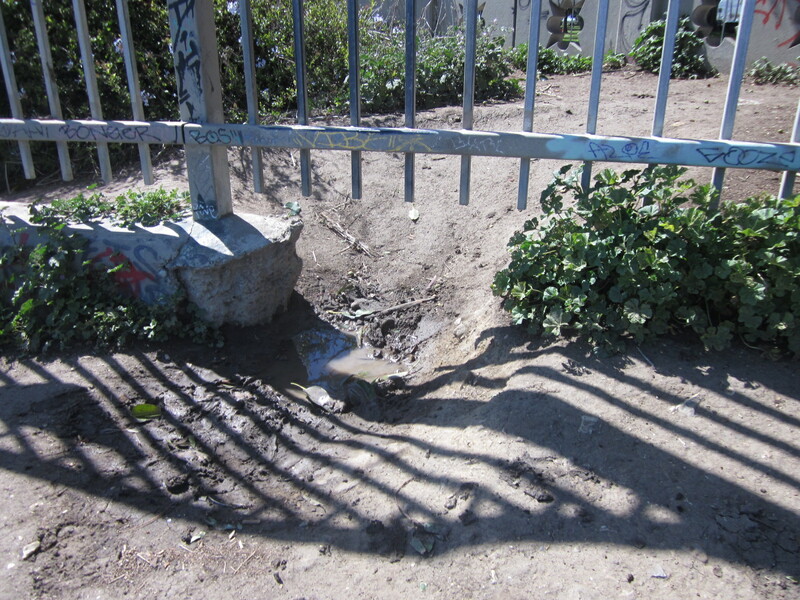 – To the right of the gate, you will need to spot for the little hole that has been dug by someone. You can see what it looks like above. To get to the other side of the gate, you will need to crawl through it. There is no other way unless you want to climb over the huge fence. Once You’re In… Now What? – Congratulations! now you’re on the other side. Take a deep breath, then walk or run across the open field away from the gate. 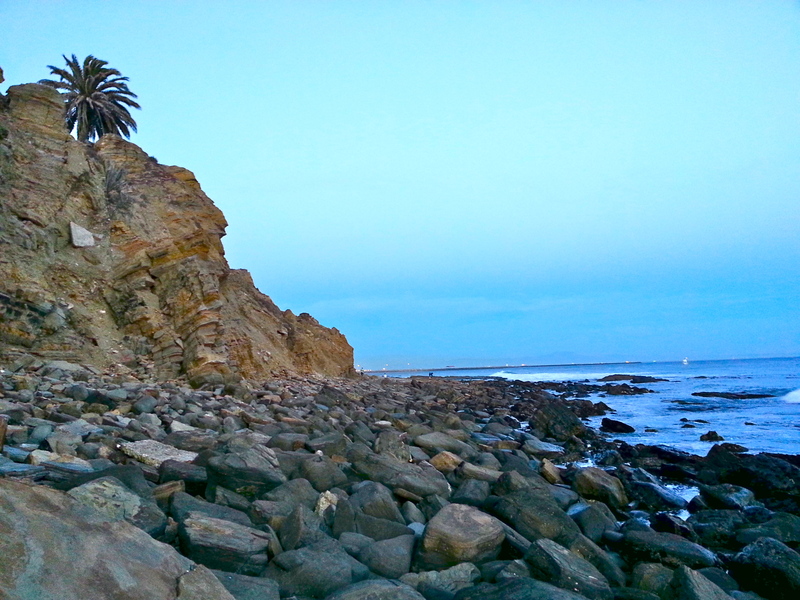 You will see the Sunken City right below the cliff. – Walking down there is not hard, but you will need to be careful. Please don’t fall. – Now it’s time to explore. Just let your adventurous spirit carry you away! – Look at the ocean! No one is looking at the same view as you… unless there are other people there. – Hangout, sit around, and just relax! – Life is a risk! Did you make this web site yourself? Please reply back as I’m trying to create my own website and want to find out where you got this from or just what the theme is named. Many thanks! Hey! thanks for stopping by and your kind words, I really appreciate it. This theme for the blog is called the Oxygen Theme and it is available for a small fee on WordPress. I just change certain things around like the color and use my own image as the background, but i didn’t code the website or design it. Let me know if you have any other questions. Everything about your blog is what I’m looking for. I finally make up my mind and will give WordPress a try. Thank you! It is really freaking awesome! Let me know if you have questions. This is awesome, I can’t believe I’ve never heard of the Lost Sunken City.. thanks for the incredible detail, definitely doing this next week! PS, I found your site on a Google Search of “Coolest things to do in California” and you’re organic #1. Keep killin it! WHAT!!! no kidding!! ah i’m gonna go get myself cheese cake now. thanks! Thank you so much! I appreciate your comment. I’m glad that you find the post helpful. 😀 have a great fun and safe time! 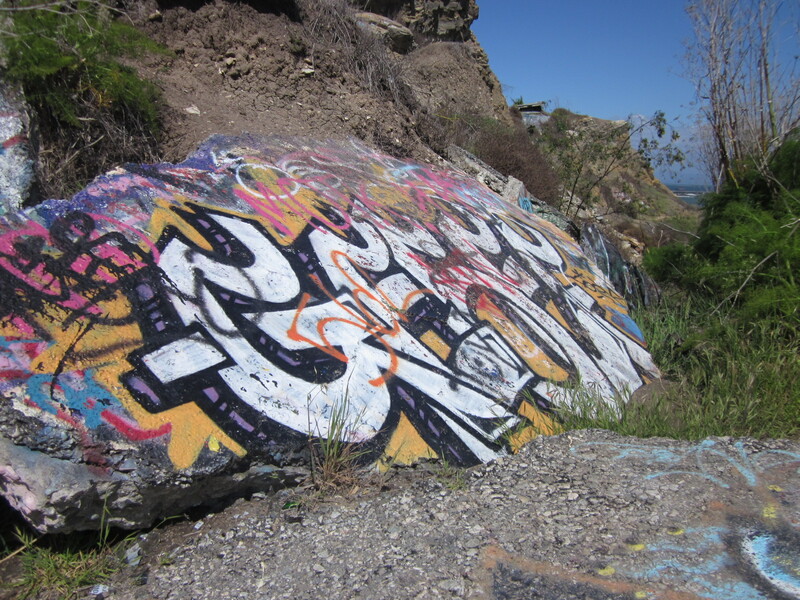 Pingback: 18 “secret” spots in Los Angeles you havent seen. Let’s open this treasure up!!! !